Considered to be one of the best water parks in North America, Six Flags White Water in Marietta is an exciting family destination. Spanning 69 acres of fun, this amazing water park boasts over 50 awesome rides and slides, from the terrifying Cliffhanger to the relaxing Little Hooch River. Six Flags White Water offers some of the craziest water rides in the country, including Black River Falls and Bermuda Triangle. Take the Caribbean Plunge and ride the tallest water slide ever - Dive Bomber! For your convenience the park offers Play Money, a waterproof way to pay for rides. Vary by date. Generally, 10:30am-7pm. $39.99; Children under 48" - $36.99; Save $5-$10 by booking online. What's the most exciting rides? 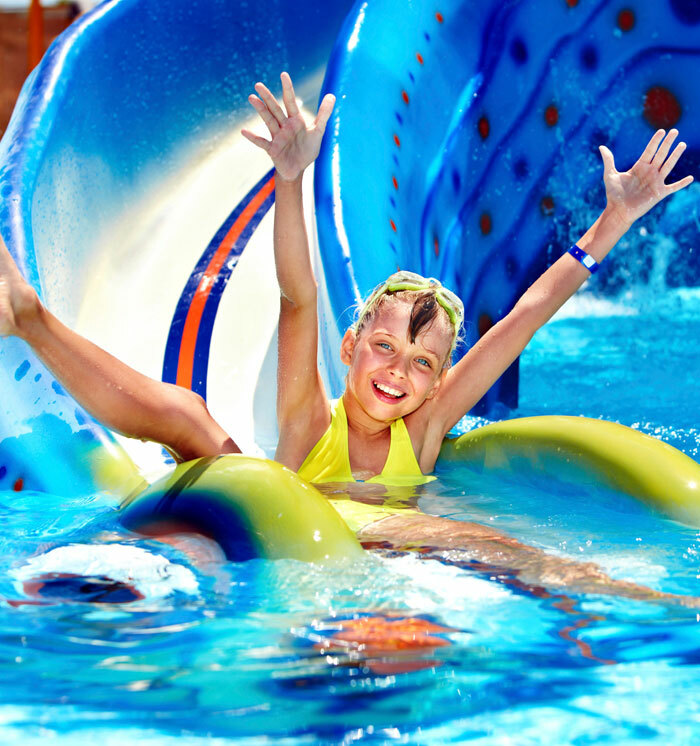 There are many thrilling rides to experience, including the park's tallest water slide ever, Dive Bomber. The first of its kind in Georgia, Typhoon Twister fires 4-person inner-tubes down an enclosed 5-story drop, followed by a thrashing 67-foot water bowl, corkscrew, and a refreshing splash pool finish. Try adrenaline-pumping slides like Tornado, Gulf Coast Screamer, and the Caribbean Plunge, which has the fastest drop in the park. You'll find a variety of delicious foods at the park, including summertime treats like Dippin - Dots ice cream, fresh fruit smoothies, and SLURPEES. There are also amusement park favorites like pizza, funnel cakes, burgers, fries, and whole turkey legs.